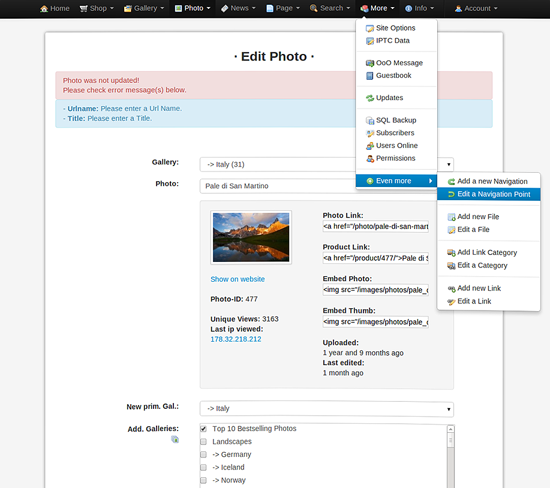 I've just released version 2.5 of the Dynamic Galleries System with lots of new features! If you're interested in a professional photography website have a look at the Demo. This demo displays all the actual data used in my website. Feel free to look around in the CMS and compare to the live site to see how the data shows up on the front end.